Spring Cleaning? Three Household Products That Clean Naturally! Spring cleaning? 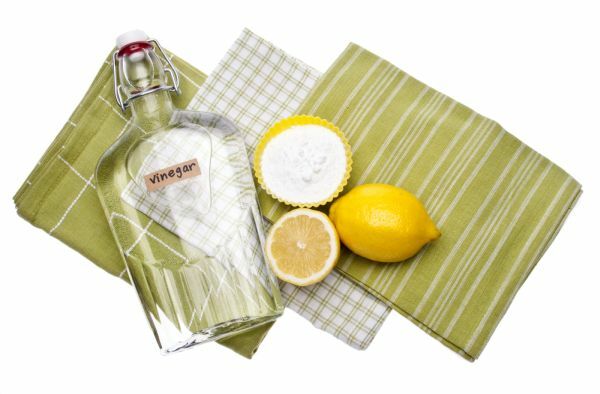 Here are three household products that clean naturally: vinegar, lemon and baking soda! Keep a bottle of 1/2 vinegar and 1/2 water by the shower, spray the curtain and keep it mildew free. If your curtain is cotton, toss it in the washing machine and add one cup of white vinegar to the rinse cycle. Vinegar is a cheap and easy cleaning spray, that is safe for everyone to use. To get rid of pesky weeds, saturate with vinegar. To clean your coffee pot, run equal parts water and white vinegar through. Let sit for 30 minutes. Get rid of carpet stains with 2 tablespoons vinegar and 1/4 cup salt or baking powder. Put 1/2 cup in your wash to reduce static cling. Use the rind and rub to remove sticky surfaces. Lemon helps remove pot and pan grime. It even cleans wooden cutting boards. Sprinkle salt and scrub with lemon for a squeaky clean effect. Use lemon to shine brass and copper. To prevent odor, periodically toss a lemon into the garbage disposal. Put baking powder on a sponge and use to clean bathroom walls. To safely clean stainless steel appliances combine with water. Use to whiten porcelain sinks and cut grease. To prevent drain clogs, put 1/4 cup down the drain weekly and rinse with hot water. Put baking soda around your pets bowl to keep bugs away. Other spring cleaning tips we should know? We would love to hear! And if you or anyone you know is looking to buy or sell, give us a call today!